Looking for a cool spot to enjoy the summer sun? Whether you are planning a family vacation with the kids, a romantic getaway for two, or an action-packed group adventure, Carlsbad has activities that make for an incredible trip. I’ve found some of the best attractions in the Village by the Sea to be enjoyed by all! Keep the kids entertained with activities that Mom and Dad will love too! Just in time for summer, LEGOLAND has opened its highly anticipated LEGO CHIMA Water Park presented by Cartoon Network. Speed down water slides, float in the interactive wave pool, and even build your own boat out of LEGOs. Then head over to LEGOLAND’s Sea Life Aquarium to explore life under the sea. For a kid-friendly dinner, stop by That Pizza Place, where the whole family can enjoy some of the best pizza in town in a casual, lively atmosphere. Don’t forget to bring your quarters – That Pizza Place is almost as famous for its awesome arcade games as it is for its pizza! Next, learn how to “hang ten” on the beach with surf lessons from So Cal Surf. With friendly, knowledgeable instructors who put safety first, So Cal Surf Lessons help children and adults alike become skilled and confident surfers. Make Skinsational Skin & Body Spa your first stop on your romantic rendezvous with your special someone. 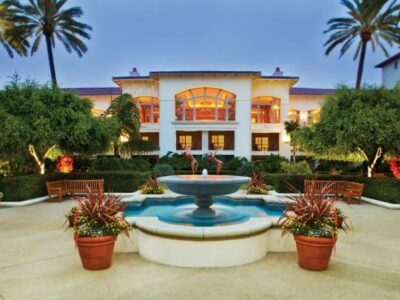 Located in the heart of Carlsbad Village, this luxurious spa offers 3 Couples Escape Packages to ensure some much-needed TLC. Each includes a soothing massage for two, champagne, and decadent chocolate truffles. After you both feel refreshed and relaxed, enjoy an indulgent dinner at West Steakhouse & Seafood. Its intimate ambiance and unique gourmet dishes make it the ideal dining experience during your dreamy getaway. Complete a perfect day with your sweetheart at New Village Arts Theater. This quaint venue in downtown Carlsbad features award-winning performers and incredible visual artists displaying work for sale. Reserve your seats now for The Full Monty the Musical, beginning its run on July 18th. For groups both large and small, there are plenty of activities in Carlsbad that will please your whole party. Craft beer enthusiasts will love Scavengers Beer & Adventure Tours, which guides beer lovers through Carlsbad’s best breweries. Join a public tour and make friends along the way, or schedule a private tour for your group. Relax, Enjoy, Laugh and More at RELM Wine & Beer Bistro. Its menu features delicious bites that pair perfectly with beer and wine, making RELM a great spot to eat, drink and be merry. The cozy restaurant offers Sunday brunch from 10:00 am – 3:00 pm happy hour on weekdays from 3:00 – 7:00 pm. Hosp Grove Trail – one of Carlsbad’s most extensive citywide trails – is perfect for an outdoor adventure with friends. Plan a picnic near the gorgeous view of the ocean, observe the wildlife, or hike your way through the beautiful eucalyptus trees. 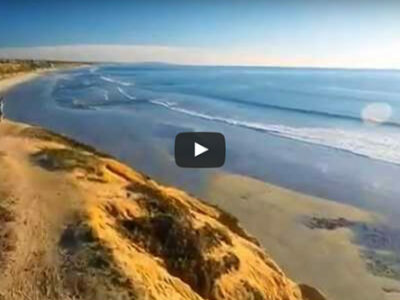 Visit our Facebook page for a daily dose of things to do in Carlsbad!